Pinot Noir has been increasing in popularity in the United States in recent years. But that popularity has resulted in many sub-par examples that don’t reflect what Pinot Noir truly is. Pinot Noir is an ancient grape that reflects a strong sense of place. A good Pinot should be complex, interesting, yet subtle, a graceful wine that demonstrates the best characteristics of the terroir. 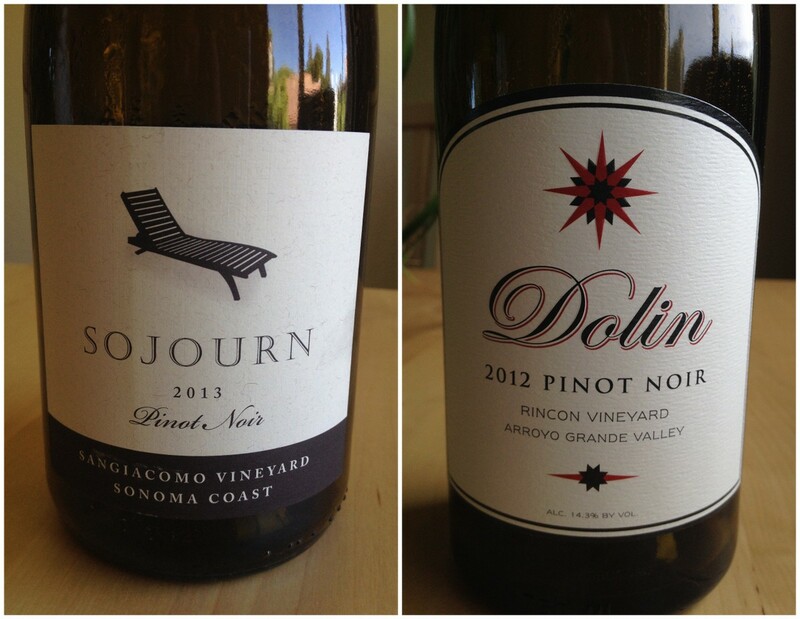 Fortunately, there are many California winemakers who are embracing the best qualities of Pinot Noir. They carefully tend special vineyards from places like the Santa Rita Hills and Anderson Valley and aim for quality and uniqueness over quantity. Here are seven wineries producing Pinot Noir that remains faithful to the ideal of what a good Pinot should be. After learning about Lutum Wines’ approach, I believe this is a winery to watch out for. LUTUM is headed by the young winemaker Gavin Chanin, who was named one of Forbes’ “30 under 30,” a “winemaker to watch” by the San Francisco Chronicle in 2012, and one of Food & Wine’s “winemakers of the year” in 2012. He is also one of the leaders of the In Pursuit of Balance movement, which aims to promote balance in California Pinot Noir and Chardonnay. LUTUM focuses on small-production, single-vineyard Pinot Noir and Chardonnay from prime vineyards in the Sta. Rita Hills on the Central Coast and Sonoma County, California. The winery’s name LUTUM is Latin for dirt or soil, reflecting the founders’ mission to make wines that express the uniqueness of each vineyard site. Their winemaking approach is more hands-off to allow the characteristics of the terroir to shine through. Recommended: 2014 Bien Nacido Vineyard Pinot Noir. La Follette Wines is known for its consistent quality of Pinot Noir in California. Recommended wine: 2011 van der Kamp Pinot Noir. The van der Kamp vineyard is one of California’s oldest vineyards of Pinot Noir. Located at 1400 feet elevation, near the highest point on Sonoma Mountain in beautiful Sonoma County, this vineyard is organically farmed and experiences its own microclimate with cool temperatures and an abundance of sun–the perfect place to grow Pinot Noir. The wine has a striking bouquet of flowers and delicate herbs. At first it feels light but develops into a lively wine that you won’t want to put down. Flavors of raspberries and herbs paired with strong acidity make this a unique wine, one you won’t soon forget. La Follette wines are reliable, so even if the 2011 vintage is unavailable, why not try another vintage? Purchase La Follete wines here. 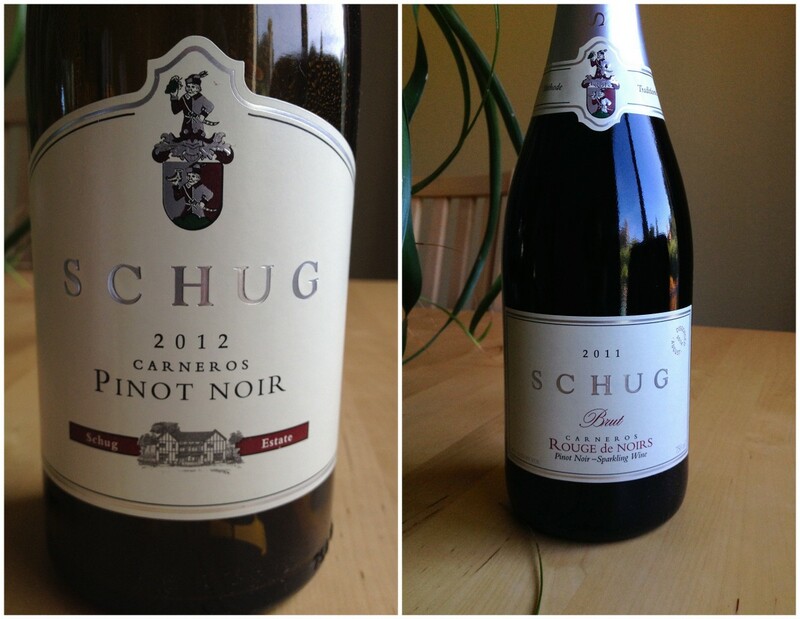 Schug Winery produces 40,000 cases of wine each year, half of which are Pinot Noir. Their focus on quality grapes is apparent—the cool Carneros appellation, located in southern Napa Valley, has for a long growing season, allowing the grapes to develop intense flavors with balanced acidity. Winemaker Michael Cox carefully crafts high quality Pinot Noirs by blending several vineyard lots, mixing the best qualities of each set of grapes to achieve balanced wines. Schug 2012 Pinot Noir, Carneros: A special bottling of estate-grown Pinot Noir representing the best characteristics of the Schug Estate vineyard. A lovely bouquet of cherries, spice and roses leads to flavors of plum, cherry, and hints of new oak and tobacco. This wine makes a nice addition to a collector’s cellar and will age nicely for ten years. Schug 2013 Pinot Noir, Carneros: A classic Carneros region Pinot Noir. This complex wine begins with a striking bouquet of dark berries, cherries and hints of spicy new oak. Rich flavors of cherry and currant with a long silky finish. This wine will improve with additional cellaring for 2 to 5 years. Schug 2011 “Rouge de Noir” Sparkling Pinot Noir: I love sparkling wines, and because not many wineries make a sparkling Pinot, this one was a pleasant surprise, something I’d like to have in my wine collection at all times. This wine was made in the tradition of the founder Walter Schug’s home in Germany. A 100% Pinot Noir with a deep red color rarely found in sparkling wines, dry with lovely berry flavors. While the 2011 vintage may no longer be available, the Rouge de Noir 2012 vintage is available. Head High Wines is a California winery to watch out for. Their mission is to produce high-quality, conscientious wine from California’s rugged North Coast. The winery invokes a sense of adventure and fun—the founders are surfers and travelers, reflected in the contemporary feel of their labels and website. Their wines are sustainably made, and the winery gives back part of its earnings to non-profits that support social and environmental initiatives. Recommended: 2013 Sonoma Coast Pinot Noir, a blend of grapes from vineyards along the cool Sonoma Coast. This particular vintage is an energetic Pinot Noir—a balanced, medium-bodied wine with intense notes of strawberry and black cherry. Purchase Head High wines here. Anaba Wines has found a winning combination in the grapes they source from their best vineyards in the Sonoma Coast AVA. 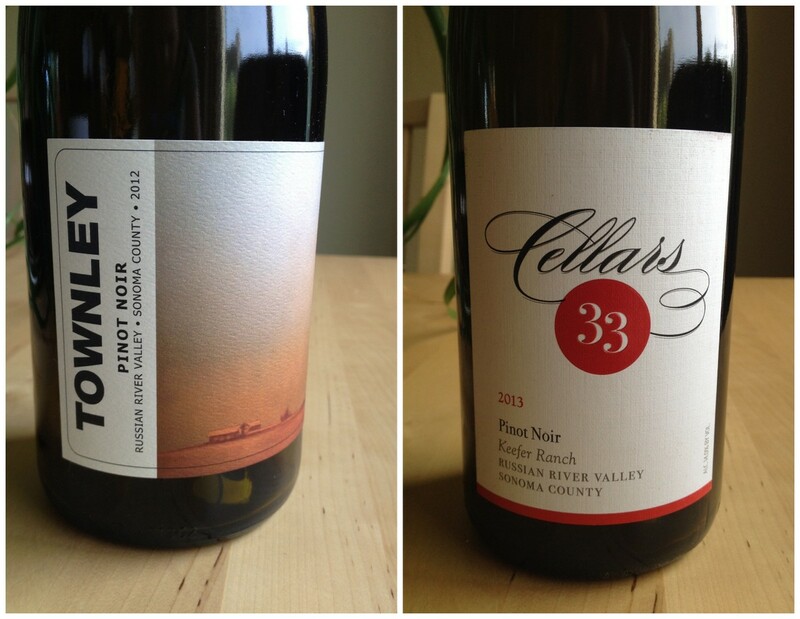 Year after year, their Pinot Noir consistently delivers high value. This vintage has an inviting bouquet of lavender and sweet raspberry, which gives way to juicy red fruits and soft notes of baking spices and earthiness on the palate. The 2013 vintage received 94 points and won double gold at the San Francisco International Wine competition. Purchase Moshin Vineyards wines here. Jenna is a Northern California-based blogger and freelance writer. Her travel writing is based on an interest in understanding how the history, landscape, and local culture create a sense of place. Her interests include wine, family travel, and art. Hello! I’m prepping for a visit to Napa and Sonoma in a few months. Looking to add on a few new-to-me stops. Thanks for this list. The small-batch, single-vineyard Pinot Noirs and Chardonnays seem to be very rewarding for winemakers… and wine lovers! Thanks so much for sharing. I look forward to reading more!